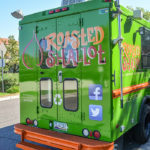 Where we last left off I had designed the logo for The Roasted Shallot food truck. 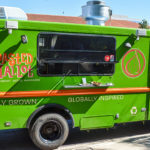 Since then the food truck has been painted a bright new green and the decals have been applied. They opened up at the beginning of October and they’ve been busy on the road ever since! 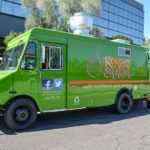 I’ve also had the pleasure of working for the truck on occasions and I love it. 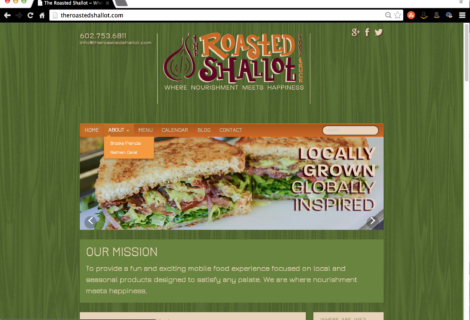 They couldn’t be happier with how the design of the logo turned out and they make sure I know it. 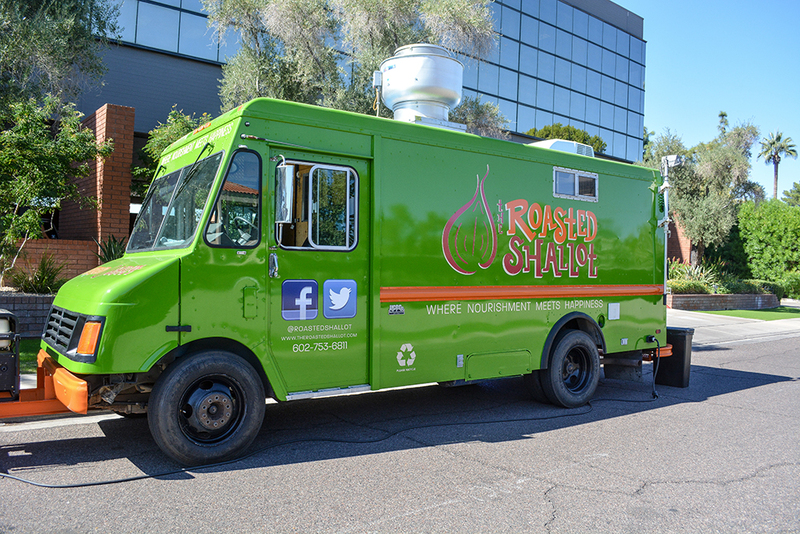 The color of the food truck turned out brighter and lighter than originally planned but we have all embraced the new color and changed the branding to match. There are some problems with the current decals due to printer error. The burgundy color is not correct and you’ll notice on the front it’s actually two different colors. They have decided to take their business elsewhere and plan on getting it fixed as soon as possible. 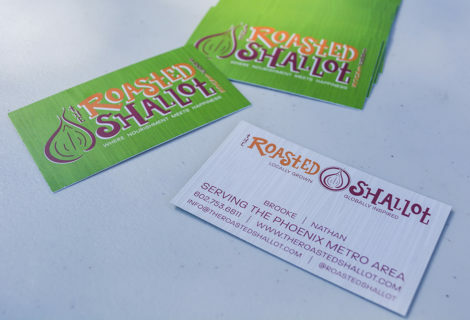 Stay tuned this week and next for the rest of The Roasted Shallot work I have designed. 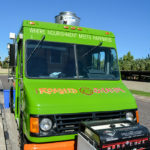 Make sure you visit their website to find out when the truck will be near you!